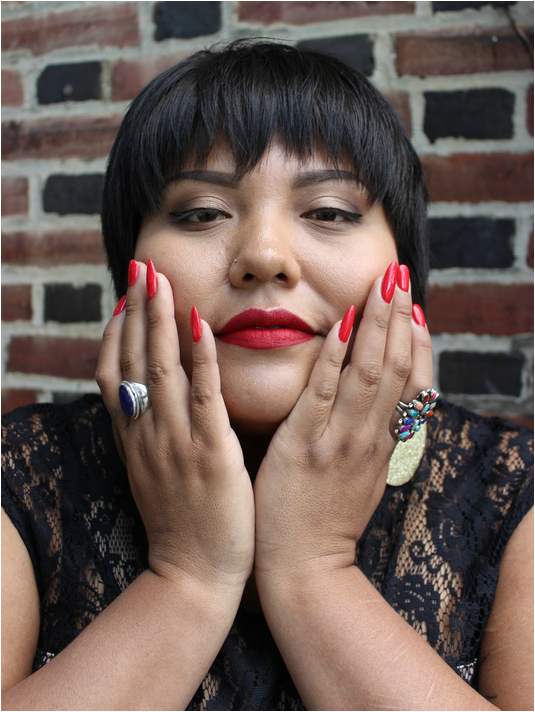 Lettie Laughter is a non-binary two-spirit Diné writer, performer, community healer, & educator who currently lives, loves, & dreams in Philly. Lettie has graced babes from coast to coast with their words, smile, & tears. They've swam in the love of femmes at FemmeCom when it was hosted in Baltimore, MA. & coasted on the ooooh's & aaaaah's of so may queer babes at the National Queer Arts Festival in San Francisco, CA., & places in between where babely hearts congregate & heal. Lettie's poems have found homes in As/Us: A Space for Women of the World in their 4th Issue: Decolonial Love, as well as in Glitter & Grit: Queer Performance from the Heels on Wheels Femme Galaxy.